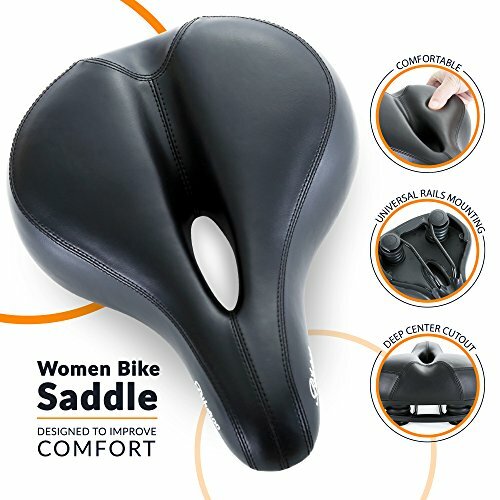 The right bike saddle for you can be the difference from ” wow, I really had fun on that last ride” – to “thank God we’re home, I’ll never do that again!”. 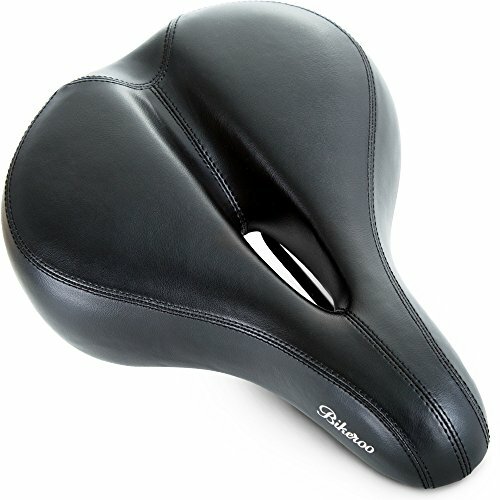 I am not sure why(maybe to cut costs) but we’ve noticed that most of the stock bike saddles that come with new bicycles are very low quality and have a really bad design. 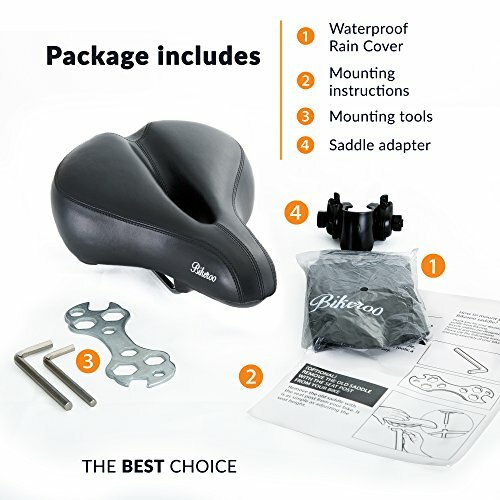 This almost ensures that you will have a bad time riding that bike, and that’s why we recommend buying a replacement saddle as one of the first upgrades. 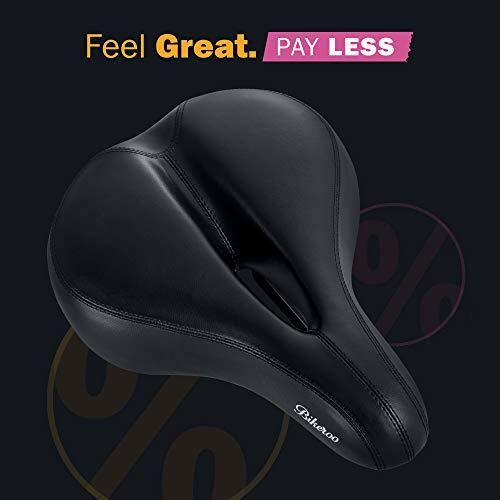 Riding your bicycle reduces stress and has huge health benefits and that’s why it’s mandatory you make the most out of it and don’t stop because of saddle pain. 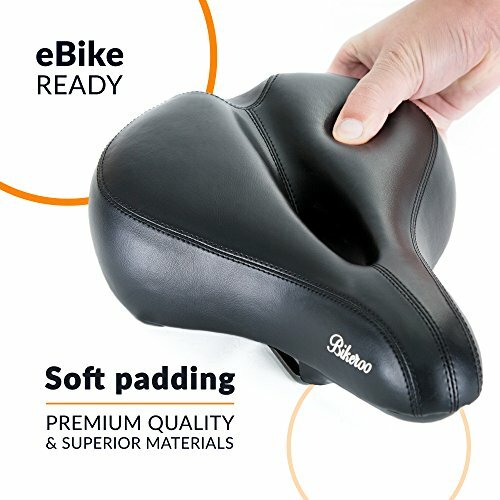 We hear feedback from people every day that their whole bike ride improved after they bought a replacement bike saddle from Bikeroo. 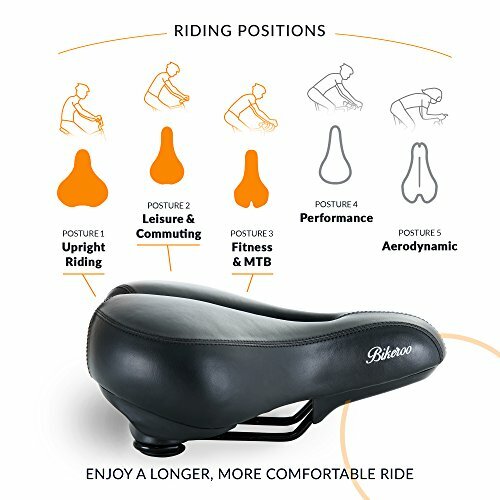 So if you are searching for the right saddle to make your ride more comfortable, hit the Add To Cart Button now and enjoy less stress and more fun. GUARANTEE – We want you to love this. 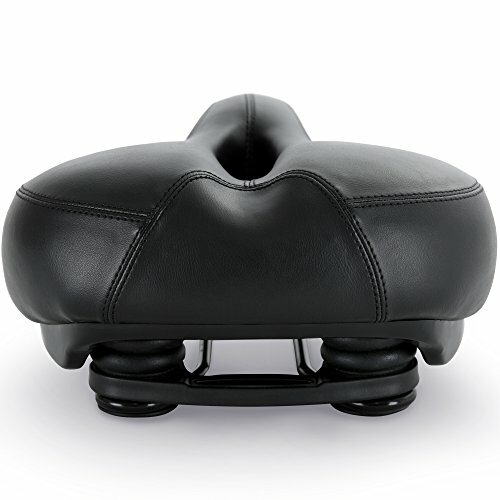 If you are not 100% satisfied within 12 Months, please return it anytime for 100% hassle free refund, even used. 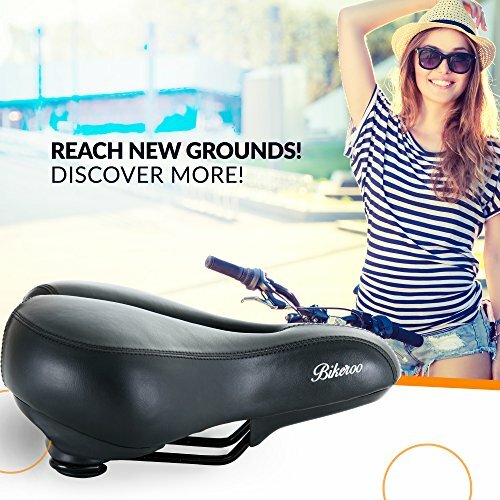 With that, you have no risk, add it to your cart now.